UPDATED PRODUCT – Adafruit TSL2561 Digital Luminosity/Lux/Light Sensor Breakout « Adafruit Industries – Makers, hackers, artists, designers and engineers! 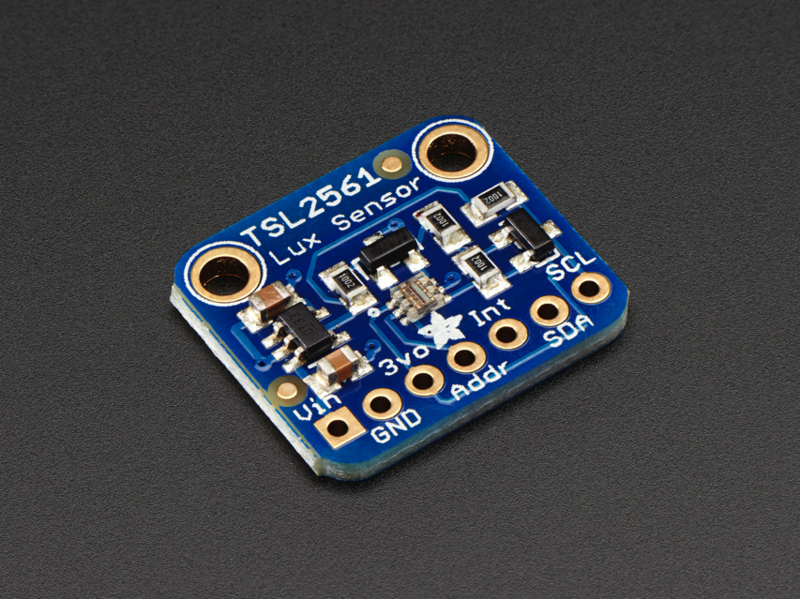 The TSL2561 luminosity sensor is an advanced digital light sensor, ideal for use in a wide range of light situations. Compared to low cost CdS cells, this sensor is more precise, allowing for exact lux calculations and can be configured for different gain/timing ranges to detect light ranges from up to 0.1 – 40,000+ Lux on the fly. The best part of this sensor is that it contains both infrared and full spectrum diodes! That means you can separately measure infrared, full-spectrum or human-visible light. Most sensors can only detect one or the other, which does not accurately represent what human eyes see (since we cannot perceive the IR light that is detected by most photo diodes). Of course, we wouldn’t leave you with a datasheet and a “good luck!” – we wrote a detailed tutorial showing how to wire up the sensor, use it with an Arduino and example code that gets readings and calculates lux.